Thanks for visiting our website. To make this document easier to read, we’re going to use some abbreviations throughout. “McAfee & Taft,” “us,” “we” or “our” refers to McAfee & Taft A Professional Corporation. Our “Sites” refers to www.mcafeetaft.com and its sub-domains and affiliated sites, as well as McAfee & Taft pages and accounts on Facebook®, Twitter®, LinkedIn®, Google Plus®, and YouTube®, which are owned and/or operated by McAfee & Taft. Our “Website” refers only to www.mcafeetaft.com and its sub-domains and affiliated sites. “You” refers to users of the Sites. Our Sites are not intended for individuals under the age of 18. We do not collect or maintain information from anyone known to be under the age of 18, and no part of this Website is designed to attract anyone under the age of 18. We do not sell products or services intended for purchase by children. If you are under 18, you may only use the Sites under the supervision of a parent or guardian. If we discover or are otherwise notified that we have received any such information from a child in violation of this policy, we will delete that information. Information You Provide to Use. We collect personal data from you when you provide it to us so that we may determine whether we are able to provide you with our services and, if an attorney/client relationship is formed, to provide you with our legal services. This includes your name, address, email address, telephone number and information pertaining to the services you request from us. We log usage data when you use our Website, including when you view or click on content, browser type, browser language, perform a search or request, the date and time of your request, or use one or more tools offered through the Website. Cookies and similar technologies help to facilitate the best possible user experience of the Website as they allow us recognize your user preferences from session to session and generally improve the functionality of the Website. Although most internet browsers accept cookies and the like by default, you can control these types of technology through your browser settings and similar tools and agree to refuse all cookies altogether. If you refuse to accept cookies and similar technologies by activating the appropriate setting on your browser or smartphone, you prohibit us from delivering the full capability of the Website and preventing the use of certain features and services that require these technologies. We may use your information to contact you about product and service offerings by email or otherwise. You have the right to opt-out of such messages. We may use your information to contact you about the services you request from us or other security or legal issues; please be aware that you cannot opt-out of receiving such messages from us. Please keep in mind that the Website may contain links to other websites or apps. You are responsible for reviewing the privacy statements and policies of those other websites you choose to link to or from the Website, so that you can understand how those websites collect, use and store your information. Please also keep in mind that some of the Sites are provided, in part, by third-party providers such as Facebook, LinkedIn, Twitter and Google, which have their own respective privacy policies. We are not responsible for the privacy statements, policies or content of these other companies and websites or apps, including websites you link to or from the Sites. McAfee & Taft cannot regulate other sites, content or applications linked or provided from within the Sites and our various Websites and services. Some content or applications, including partner offers, on or in the Website may be served by third-parties, including content providers, application providers, analytics companies, your mobile device manufacturer, and your mobile service provider. These other sites may place their own cookies or other files on your computer, collect data or solicit personal information from you. The information they collect may be associated with your personal information or they may collect information, including personal information, about your online activities over time and across different websites, apps, and other online services. They may use this information to provide you with interest-based (behavioral) targeted content. We do not control these third parties’ tracking technologies or how they may be used. If you have any questions about targeted content, you should contact the responsible provider directly. We may disclose personal information that we collect or that you provide to fulfill our obligations to you (if any), the purpose for which you provide it (if any), for any other purpose for which we have your consent, or for legitimate business purposes which may include when required by law, subpoena, or other legal process or as necessary in the course of legal proceedings. We will share your personal data internally within McAfee & Taft in order to determine whether we may provide services to you and, if an attorney/client relationship is created, facilitate our ability to provide services to you. When you share information through the Sites, that information is viewable by you and by anyone else you chose to share it with. You have the right to ask that we cease using, deleted, correct or modify the information we have about you that identifies you personally. Please note that any of the foregoing requests may limit our ability to provide you services. You also have the right to ask for a copy of the personally identifiable information we have about you. To make these or any other requests with respect to your personal information, you may contact us at: McAfee & Taft A Professional Corporation, Attn: Webmaster, Tenth Floor, Two Leadership Square, 211 N. Robinson Ave., Oklahoma City, Oklahoma 73102, or you may email us at webmaster@mcafeetaft.com. We ask that individuals making requests identify themselves and identify the information requested to be accessed, corrected or removed before we process any requests. We may decline to process requests if we cannot verify the requestor’s identity, if we believe the request will jeopardize the privacy of others, if we believe the change would violate any law or legal requirement or cause the information to be incorrect, or for a similar legitimate purpose. If you ask that we modify or delete some or all of your personal information, we will retain your personal data if reasonably necessary to comply with our legal obligations (including law enforcement requests), meet regulatory requirements, resolve disputes, maintain security, prevent fraud and abuse, enforce obligations or fulfill any others requests from you. 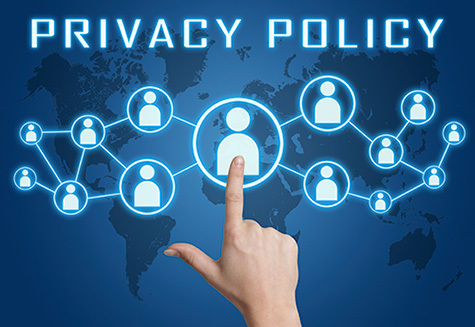 California law requires that we provide you with a summary of your privacy rights under the California Online Privacy Protection Act (the “Act”) and the California Business and Professions Code. As required by the Act, we will provide you with the categories of personally identifiable information that we collect through this Website and the categories of third-party persons or entities with whom such personally identifiable information may be shared for direct marketing purposes at your request. California law requires us to inform you, at your request: (1) the categories of personally identifiable information we collect and what third parties we share that information with; (2) the names and addresses of those third parties; and (3) examples of the products marketed by those companies. The Act further requires us to allow you to control who we can and cannot share that information with. To obtain this information, please send a request by email or standard mail to the address found above. When contacting us, please indicate your name, address, email address, and what personally identifiable information you do not want us to share with third parties. The request should be sent to the attention of Webmaster, Tenth Floor, Two Leadership Square, 211 N. Robinson Ave., Oklahoma City, Oklahoma 73102, or you may email us at webmaster@mcafeetaft.com, and labeled “California Customer Choice Notice.” Please allow thirty (30) days for a response. Also, please note that there is no charge for controlling the sharing of your personally identifiable information or requesting this notice. We implement industry standard security safeguards designed to protect your data. These include using encryption for your data while it is being transmitted between your device or browser and our servers. Nevertheless, given the nature of communications and information technology, and that the use of the internet has inherent risks, although we regularly monitor for possible vulnerabilities and attack, we cannot warrant or guarantee that information provided to us through the Sites or stored in our systems or otherwise will be absolutely free from unauthorized intrusion by others. By using the Sites, you agree that we are not responsible for: (i) any disclosure of your personal information made by you to a third party through your use of the Sites; (ii) any disclosure of your personal information obtained illegally from us; or (iii) any accidental disclosure of your personal information made by us. We will only collect and process personal data about you where we have a lawful basis. Lawful bases include consent (where you have given consent), contract (where processing is necessary for the performance of services we have agreed to provide to you), and other legitimate interests. Such legitimate interests include protection to you, us and third parties, to comply with applicable law, to enable and administer our business, and to contact you concerning changes in law, invitation to our events and information about our services. We have analyzed the balance between our legitimate interests and your rights with the following considerations: (i) your personal data is collected and processed because you either use our services, have subscribed to our email contacts, or have inquired into our services; (ii) your contact information is limited to your business details unless you chose to provide private contact details; (iii) the content of our communications focuses on business relevant to legal matters; (iv) our intention is to only generate meaningful consent or to contact you concerning services you have requested from us; and (v) the marketing messages we send to you contain an option to unsubscribe. Where we rely on your consent to process personal data, you have the right to withdraw or decline your consent at any time. Where we rely on legitimate interests, you have the right to object. If you have any questions about the lawful bases upon which we collect and use your personal data, please contact us at webmaster@mcafeetaft.com. We will store your data as set forth in this Policy and pursuant to our retention policy and until you withdrawal your consent or request that your information is deleted.